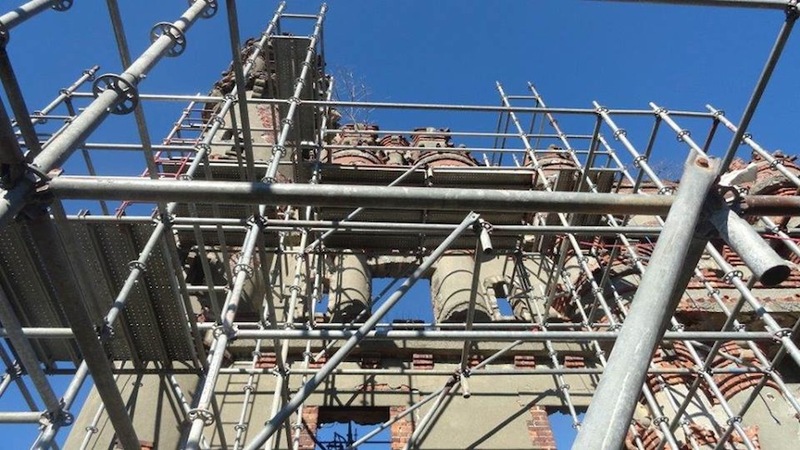 Preservationists are at work attempting to salvage what remains of a New York architectural oddity. The strange medieval-looking structure known as Bannerman’s Castle is located on Pollepel Island, a small stretch of land about 60 miles north of Manhattan on the Hudson River. Scottish-American Arms mogul Francis Bannerman IV built the series of buildings in the early 20th century to act as a personal residence and home to his extensive arsenal. Since the 1920s, however, the castle has suffered from neglect and a series of devastating storms and fires that contribute to its current dilapidated state. 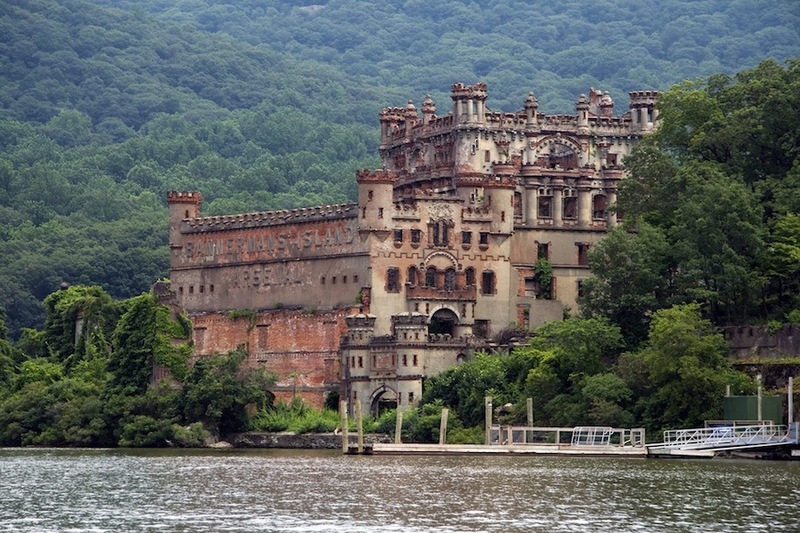 In 1993, care of the island was handed over to the Bannerman Castle Trust. 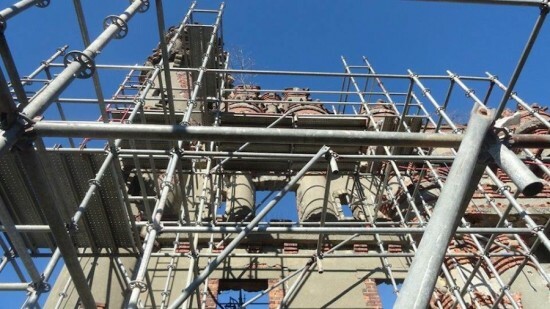 By that point the structure had already born witness to a massive 1920s gunpowder explosion and a 1969 fire that raged for three days and gutted most of the timber interiors. Large portions of the masonry fell victim to a storms in 2009 and 2010. In late November, Putnam-based construction company Tiny Houses began efforts to stabilize some of the extant masonry. Trust president Neil Caplan is in the process of raising funds for further renovation efforts, including transforming the island’s home into a visitors center. Bannerman purchased the island in 1900 after locals grew concerned with the quantity of explosive weaponry he was stockpiling in his Brooklyn Navy Yard warehouses. He proceeded to construct seven structures on the site all bearing a stylistic resemblance to the castles of Bannerman’s homeland. The estate’s downward spiral began with the Scotsman’s death in 1918. 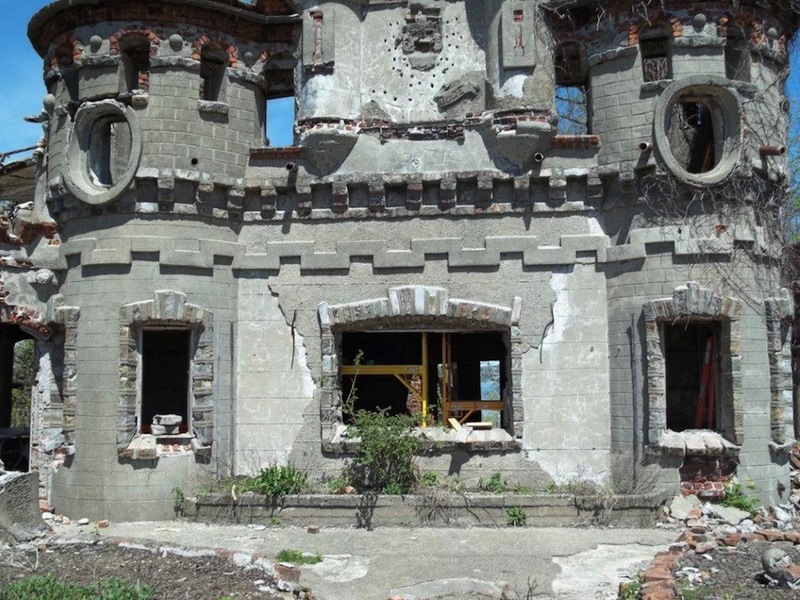 For inspiration, trust members are looking to similar structures that have been repurposed in ways that ensure the feasibility of their preservation, such as Saugerties Lighthouse which lies farther up the Hudson, and Boldt Castle on the St. Lawrence River. While the island has already hosted kayak trips, hiking excursions, performances, and a wedding, camping programs and concerts are in the works for the coming year.